I know you're a FIDE Master :), so I suppose you're more interested in this question from a teaching perspective. 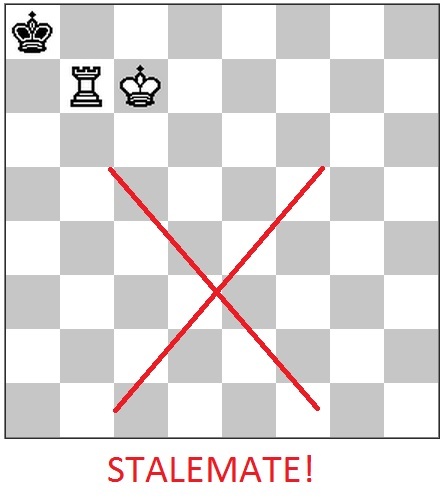 A simple way (I'll deal with optimizations later) to checkmate is to ensure that this rectangle gets smaller and smaller, so that the Black King is pushed to a corner of the board (more visual representation below with diagrams). Kc6 15. Kc4 Kb6 16. Rc5 Kb7 17. Kb5 Ka7 18. Rc6 Kb7 19. Kc5 Ka7 20. Rb6 Ka8 21. More experienced players can get to smaller rectangles quicker by looking further ahead. 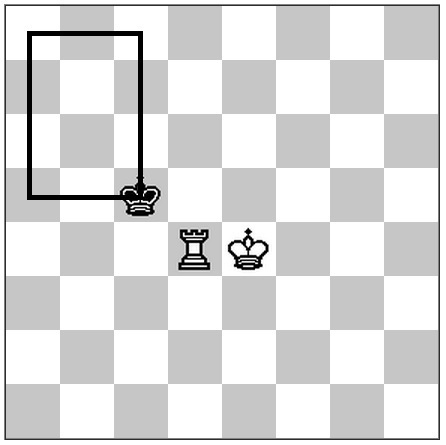 One trick is to trap the king in a smaller rectangle if it comes too close to the rook. 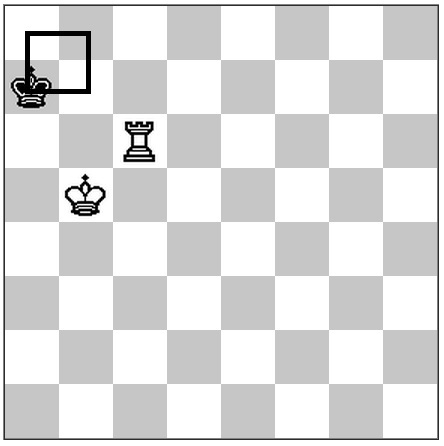 For this, White also has to use the king more actively. 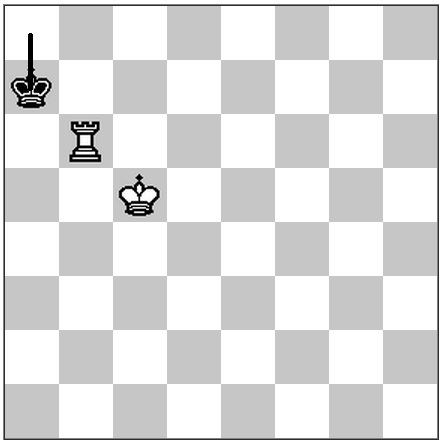 Another trick is to give a rook check when the kings are in opposition. This trick is not necessarily optimal. 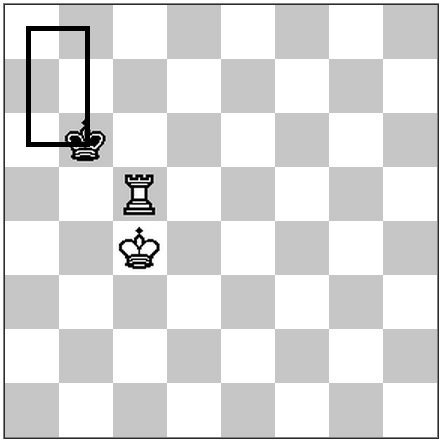 In the above example, White can actually mate faster with the move 1. Rd1! 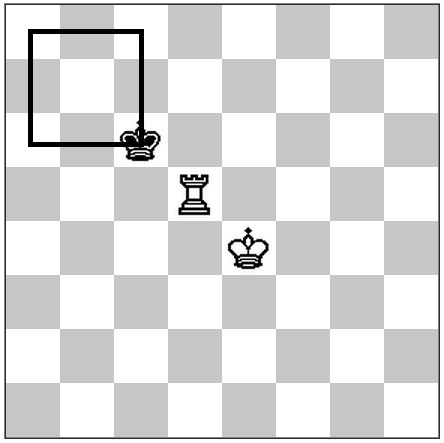 The above optimization is also made possible by the rook-waiting-move trick. 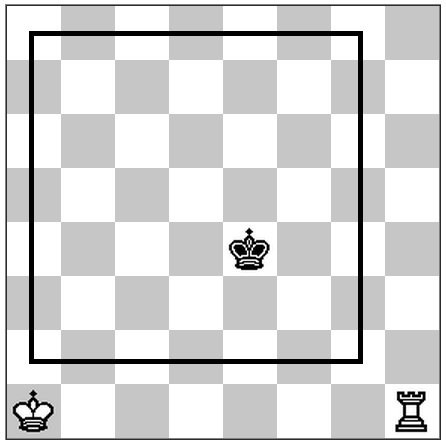 If, in the above position, instead of going to c6, the Black king tries to escape via a4, then the following checkmate is possible. 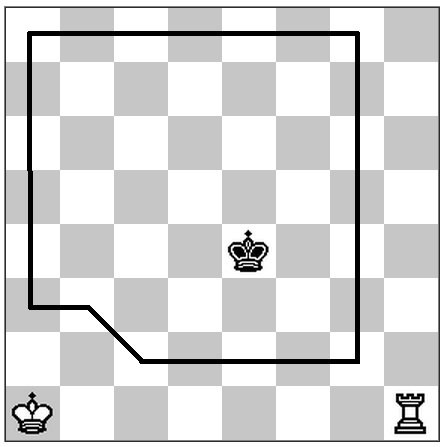 One more idea is to use king-opposition (in combination with the rook) to push the enemy king behind. 1. Re1+ (1. Kb2 Kf4 2. Kc3 Ke5 3. Re1+ Kf6 4. Kd4 Kf5 5. Re4 Kf6 6. Re5 Kg6 7. I would suggest -- Play this out with an opponent.Thats the best way to get the feel of it. else just google and you will see a lots of explanation -- with some nice graphics. www.chess.com and chesstempo.com even have some practice board where you can learn. I would teach the slow but safe and easy way first: The rook divides the board in two halves. 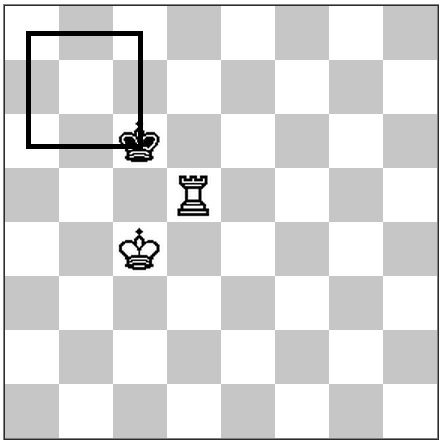 Then the attacking king tries to get in opposition to the enemy king (sometimes the rook has to swap sides or needs to make a waiting move for this to happen). 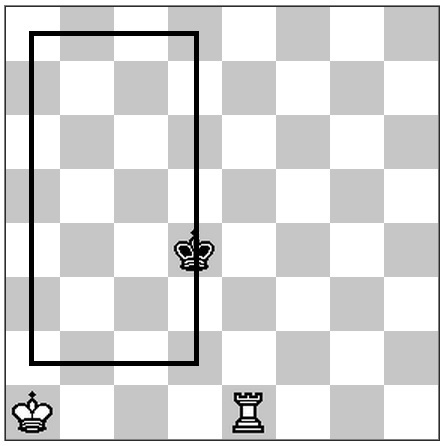 Then the rook gives a check, hence pushing the king one field closer to the edge of the board. The mate follows exactly the same pattern. Confine the King to a box and make the box smaller if possible. 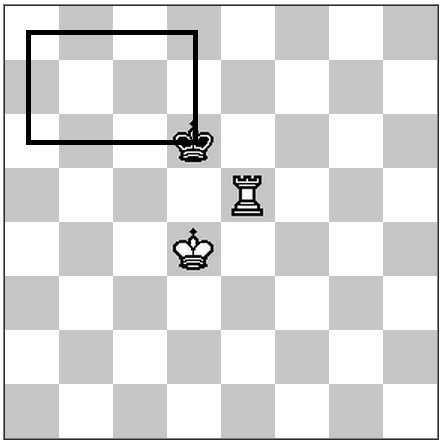 If it is not possible to make the box smaller, move the King (a waiting move to force back the opponent's King.). 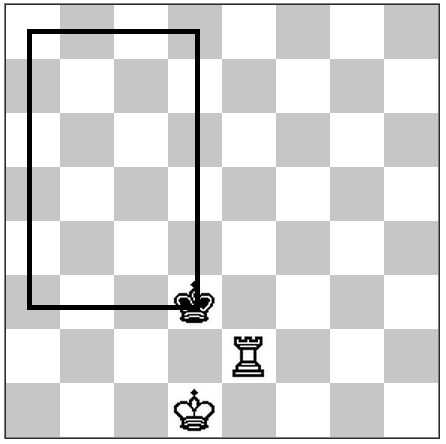 Force your opponent king to corner (Rank - 1st or 8th or File - a or h ). Wes already gave a good answer from the teaching perspective for the OP. This answer is complementary to his answer. I am concentrating on the optimization and tricks still keeping beginners in mind (may not be useful to OP). If you haven't seen the basic technique read that form Wes's answer first, then read these tricks and finally go back to optimisation and tricks section of his answer. Also, just to recall, our purpose is to confine the king to an edge, not to a corner. And we are not preoccupied with which edge it must be. Though obvious, these fact helps to make it shorter. 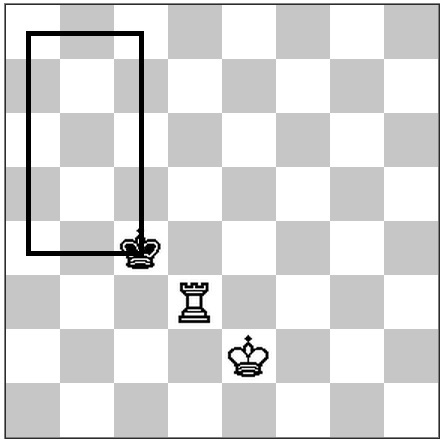 Trick 1) When you use king-in-opposition, there is no need to go all the way to the end of the side. 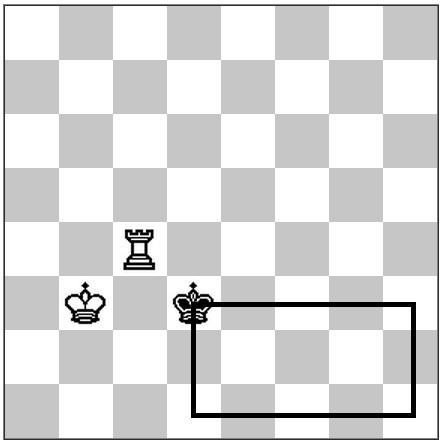 So, instead of the following, you can make the check earlier if the king is confined enough (see the variation). Not the answer you're looking for? Browse other questions tagged endgame checkmate rooks kings elementary-mates or ask your own question. How do you checkmate with a queen? 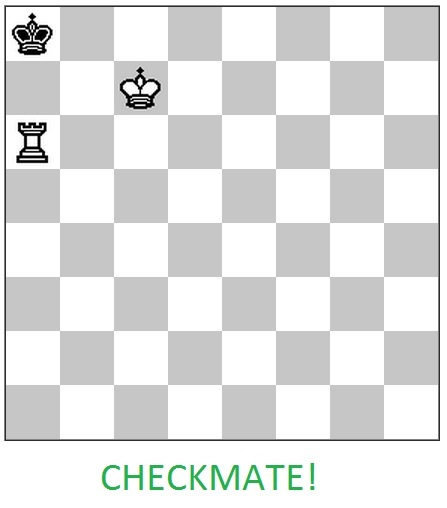 Is it possible to checkmate with rook and knight against just king? How do you hold a draw with a bishop against a rook? What does checkmate actually mean? 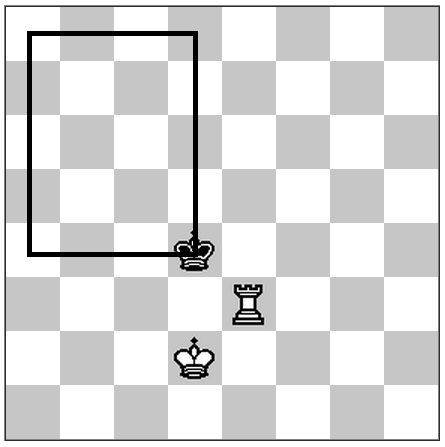 Can you checkmate with rook vs knight?